In this ambitious and wildly original debut--part social-political satire, part international mystery--a new virus turns people into something a bit more than human, upending society as we know it. This panoramic fictional oral history begins with one small mystery: the body of a young woman found in an Arizona border town, presumed to be an illegal immigrant, disappears from the town morgue. To the young CDC investigator called in to consult with the local police, it's an impossibility that threatens her understanding of medicine. Then, more bodies, dead from an inexplicable disease that solidified their blood, are brought to the morgue, only to also vanish. Soon, the U.S. government--and eventually biomedical researchers, disgruntled lawmakers, and even an insurgent faction of the Catholic Church--must come to terms with what they're too late to stop: an epidemic of vampirism that will sweep first the United States, and then the world. With heightened strength and beauty and a stead diet of fresh blood, these changed people, or "Gloamings," rapidly rise to prominence in all aspects of modern society. Soon people are beginning to be "re-created," willingly accepting the risk of death if their bodies can't handle the transformation. As new communities of Gloamings arise, society is divided, and popular Gloaming sites come under threat from a secret terrorist organization. But when a charismatic and wealthy businessman, recently turned, runs for political office--well, all hell breaks loose. 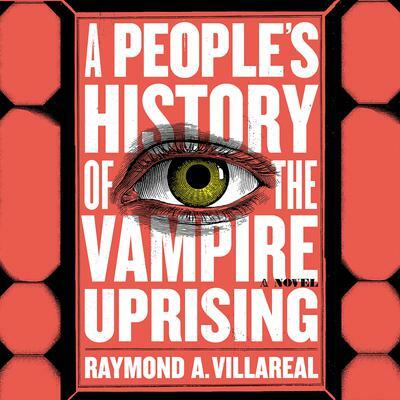 Told from the perspective of key players, including a cynical FBI agent, an audacious campaign manager, and a war veteran turned nurse turned secret operative, A People's History of the Vampire Uprising is an exhilarating, genre-bending debut that is as addictive as the power it describes.